Q&A with a financial counsellor! SPECIAL EVENT. Announcements from the Gambling Help Online facilitation team, including monthly run-downs. Special event: Q&A with a financial counsellor. 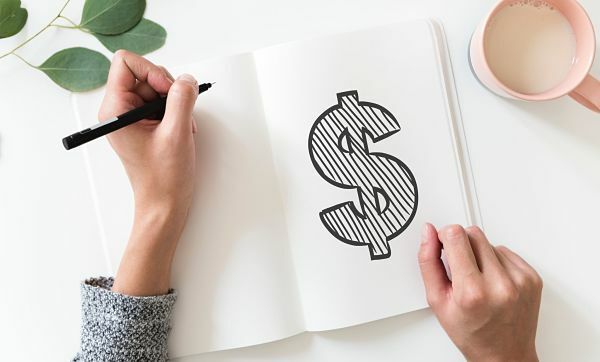 Financial counselling can be a really incredible service for assisting with money problems, but one that many of us don’t know too much about or aren’t sure how it can help. This week, we’re feeling very excited and lucky to have Maria Turnbull here to answer your questions! Maria is not only a fantastic Specialist Financial Counsellor through Odyssey House Victoria, she also received the Order of Australia medal for service to the community through social welfare organisations. She is a strong advocate for YOU, and sharing the ways in which financial counselling can help you. Post any questions you may have about financial counselling services, as well as some general advice she may have about managing debts, below. You may know lots, or very little about the service, but there’s no such things as a bad question so ask away! This thread will be open until Sunday for your questions, then we will send them through to Maria. She will do her best to get us all informed, and share her answers next week. Please be aware that this is an opportunity to talk about financial services in general. We do not give specific referrals or individualised advice through this platform. Re: SPECIAL EVENT: Q&A with a financial counsellor! Maybe I'll get the ball rolling! My question is who would you recommend financial counselling to or who do you think it's most helpful for? I would love a description about how a financial counsellor supports people with gambling problems. What roles do they have? I was hoping you could clarify a partner of a gambler may be able to protect their assets. Also, what options are available to someone who has spent their entire pay on gambling and needs to pay for food? We know that financial counsellors can alleviate financial stress, but are there any potential limits to the financial counselling service ? Not a question. But I am glad I saw a financial planner when I hit absolute rock bottom! Given the recent Royal Commission into the Banks. How can the Banks assist with restrictions to accounts at the request of their customer? Do they have any moral obligations if they knowingly lend money to a chronic gambler? Fantastic question @Mona58, I look forward to Maria’s answer about this as justice for gamblers is something she’s both knowledgeable and passionate about! @How the F did I get here I’m glad to hear you had a great experience with a financial counsellors. Perhaps Maria could also describe to us How to know whether the financial counsellors you’ve accessed are as good as possible/ as beneficial as possible or not? Just over 24 more hours to ask questions about advice and information. Did anyone else have a question? Don’t miss out! Thank you all for your amazing questions. This thread is now closed as our guest prepares her answers! Following our recent thread, without further ado I have Maria Turnbull's answers to your financial counselling questions! Every person’s financial situation and experience are different, so these responses are some suggestions only and are not a substitute for financial options or financial counselling that are relevant to individuals’ situations. Q - I would love a description about how a financial counsellor supports people with gambling problems. What roles do they have? A specialist financial counsellor supports people affected by gambling by providing advocacy, options, support and interaction with other support services and therapeutic counsellors including cross referral as needed. Q - Who would you recommend financial counselling to or who do you think it's most helpful for? Q - We know that financial counsellors can alleviate financial stress, but are there any potential limits to the financial counselling service? Financial Counsellors are not financial advisors or planners. They are advocates who act in the best interest of clients – not industry. It is a free and non-judgmental service. Financial Counsellors cannot tell anyone what to do. They provide options and support people with their chosen option. Of course this comes with limitations. If someone is not happy or not sure about the information they have received, they should ask for clarification or second opinion as needed. Q - Perhaps Maria could also describe to us how to know whether the financial counsellors you’ve accessed are as good as possible/ as beneficial as possible or not? Financial Counselling is about providing options and supporting the chosen option/s. Trust instincts – If it does not sound or feel right, ask questions; request a second opinion or seek a second opinion on your own. A good financial counsellor should suggest or offer a second opinion at the beginning. If something does not feel right, if you’re not satisfied or you don’t ‘click’ with your financial counsellor ask questions or seek another opinion. Something to remember though is that financial counselling is a limited resource and being unhappy with what you are hearing may mean that there are limited options available. Q - I was hoping you could clarify a partner of a gambler may be able to protect their assets. One of the best and concise lists of some strategies that can help someone protect assets is called The Baker’s Dozen on page 24 of the following book Slots and Shots. Seek assistance from specialist support services – for example Gambler’s Anonymous, Gambler’s Help. The full book is also available for download. Q - Also, what options are available to someone who has spent their entire pay on gambling and needs to pay for food? One account with no atm card, not online, not easily accessible via phone or internet – for fixed expenses such as rent, utilities etc – both to sign if possible with a trusted person. Neither person can access the money and if the gambler wants/needs to access it, they need to have a conversation with the other person which could then lead to counsellor under certain circumstances. The second account is for non fixed expenses and has an atm card attached and is not linked to the first account. Some recommended purchases from this account include food vouchers and petrol vouchers*. After the fixed expenses are paid out of the first account, a pre-determined amount can be organised with the bank to be direct credited to the second account. The dual account system allows some financial independence, for bills to be paid and allows for some harm reduction. As the first account is not easily accessible if a client was to bust, the essential expenses eg rent/mortgage can still be paid and this could limit the harm. * buying food and or petrol vouchers enables a person to still be able to buy food and petrol if they were to bust and gamble. For immediate help in accessing food, there a number of friendly, approachable support services available across the country. Some great service finders include the Secondbite Food Finder and Ask Izzy. Q - Given the recent Royal Commission into the Banks. How can the Banks assist with restrictions to accounts at the request of their customer? Depending on the bank there has been some positive steps from banks to assist customers who may have indicated gambling is a concern to the bank. The most significant is that some banks are offering personal assistance to people who express that gambling, particularly online gambling, is a problem for them. Upon request these banks will suspend all payments to online gambling accounts/companies as well as suspend access to cash withdrawals from a credit facility. This also comes with a 7 day lag if a request is made by the customer to lift the suspension. i.e. it takes 7 days from the request to lift the suspension for it to take effect, it’s not immediate. Q - Do the banks have any moral obligations if they knowingly lend money to a chronic gambler? Banks are under no obligation if they knowingly lend to a chronic gambler. However I believe there would be limitations. There are guidelines and findings by the Financial Ombudsman that provide more information about these issues. Amazing! A huge thank you to Maria for her time and fantastic responses. Did you find this helpful? Please like this post for our information.